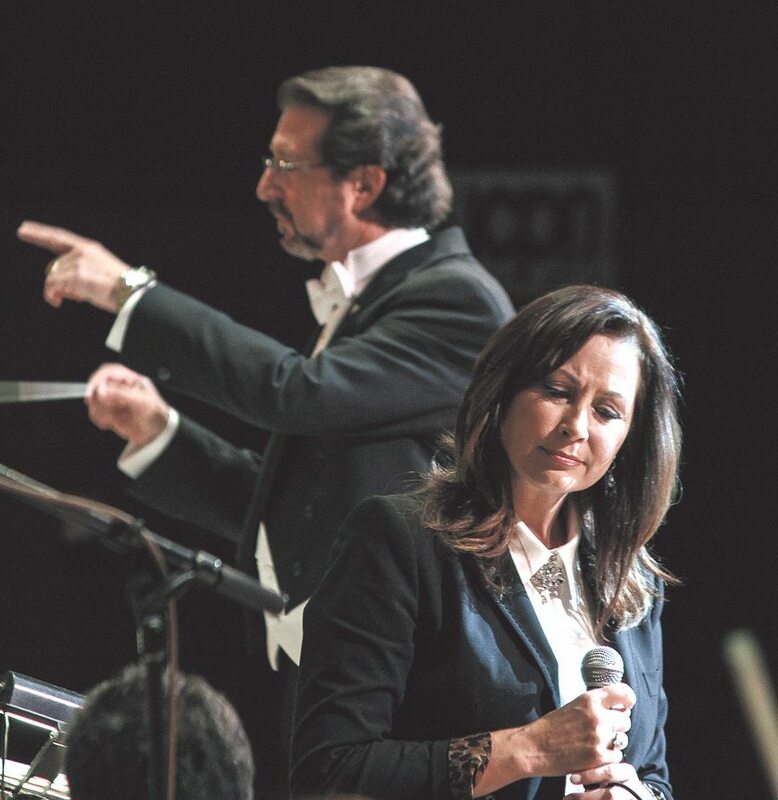 Linda Eder previously joined the Pops on stage for their CP Nassau benefit concert to a sold-out crowd in 2013. They say mother knows best and that certainly seemed to be the case about 14 years ago when Louis Panacciulli, maestro of the Nassau Pops Symphony Orchestra, talked to his mom about finding a charity to do a joint venture with. His mother suggested CP Nassau, a nonprofit where she served as a volunteer as well as member of the council of auxiliary ladies. Panacciulli took his mother’s advice and for the last 12 years, the Nassau Pops has held benefit concerts for CP Nassau, helping to raise thousands for the nonprofit organization. It’s an experience that has not only helped the Roosevelt-based nonprofit continue their mission of serving adults and children with cerebral palsy, but has also left a lasting impact on the maestro. This year’s concert takes place on Saturday, March 18, at the Tilles Center. Not only will guests be able to enjoy a great performance by the Nassau Pops, they’ll also be entertained by the vocal talents of guest singer Linda Eder. Also joining the orchestra on stage are four singers from Creation, a singing group part of CP Nassau’s adult program. They’ll be singing “Summertime” by George Gershwin, “Seasons of Love” from Rent and “Oh What A Night,” from The Four Seasons. 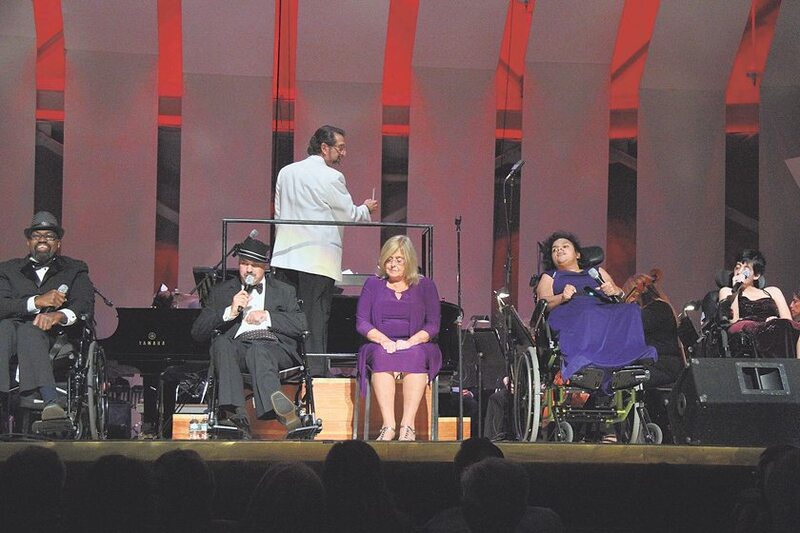 Creation, a group of about 20 adults, not only sings at CP Nassau events and fundraisers, but at local schools and nursing homes as well, where they talk about disability awareness. But CP Nassau’s Communications and Community Outreach Manager Patricia Quinn notes that the annual Tilles Center concert is a highlight each year. Singers from CP Nassau’s Creation music group join the Nassau Pops, directed by Lou Panacciulli, on stage during a previous concert at the Tilles Center. Quinn noted that Panacciulli has been instrumental in helping program participants get better at their music, as well as build their confidence. But Panacciulli said the experience of working with people who have cerebral palsy has been just as poignant. CP Nassau draws most of their funding from government sources, but because cuts are frequent, the center holds several events throughout the year to raise revenue as well as awareness. They have a Polar Plunge event at Theodore Roosevelt Park in Oyster Bay on March 12, as well as a golf fundraiser in August and the annual Festival of Trees at the Cradle of Aviation Museum in December. Thanks to sponsorships from companies like NEFCU, every dollar from the concert’s ticket sales goes directly to CP Nassau. It also seeks to spread the word about CP Nassau; many who attend the concert may have come for the music, but leave with a much better understanding of what cerebral palsy is and the work CP Nassau is doing. For more information and to buy tickets to the upcoming show, visit The Nassau Pops website at www.npso.org or CP Nassau at www.cpnassau.org. Betsy Abraham is the managing editor of The Westbury Times and Mineola American.